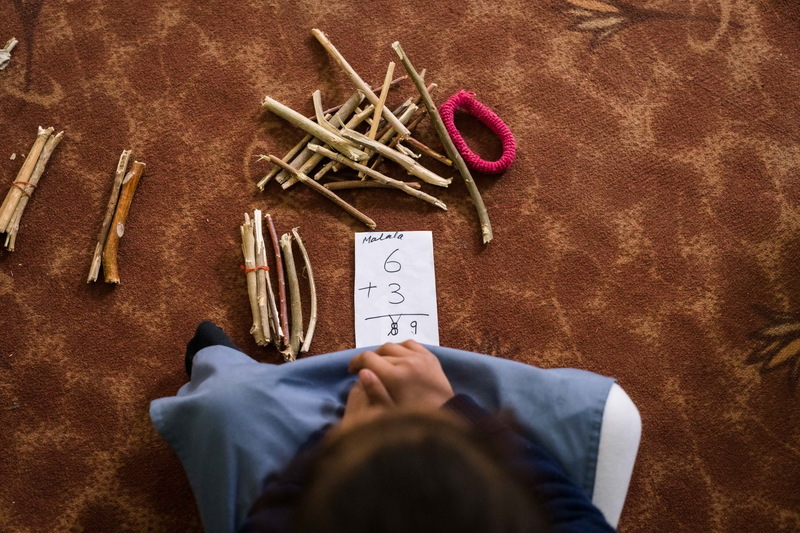 Since 2013, Steps Towards Afghan Girls’ Education Success (STAGES) has brought together more than 351,000 Afghan people to help improve girls’ education. This includes: 135,000 girls, 110,000 boys, 6,000 teachers and 100,000 community members. The University of Central Asia (UCA) is delivering and supporting educational and research programmes in Afghanistan. 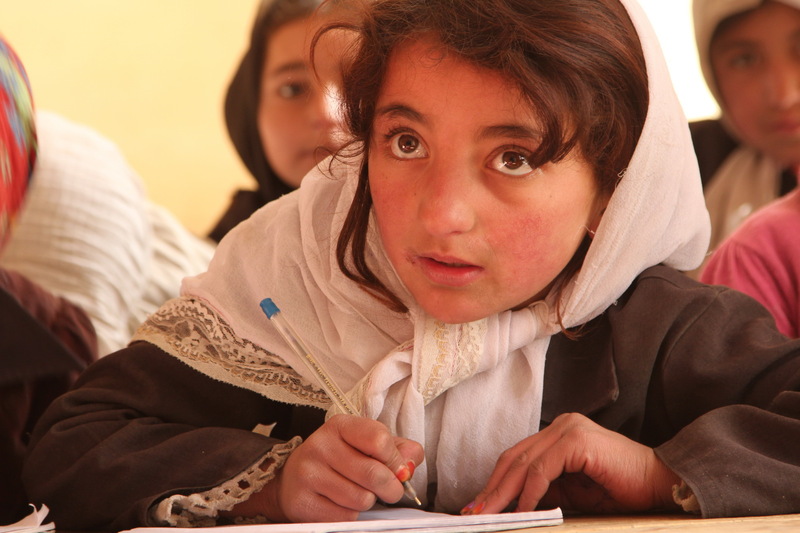 The School of Professional and Continuing Education (SPCE) in Afghanistan has provided unprecedented educational opportunities for young people, especially women. It has enrolled over 6,000 learners, 40% of whom are women, and created a unique learning environment. In the Kyrgyz Republic, AKDN is strengthening the quality of -- and providing greater access to -- the spectrum of education including pre-primary, primary, secondary, university and adult education, led by the University of Central Asia (UCA). Photo: UCA Naryn Campus, Kyrgyz Republic. At UCA’s media lab, students work on video production and editing. UCA’s School of Professional and Continuing Education (SPCE) mental math programme is offered to students aged 6 to 14. Since 2006, over 100,000 students have enrolled at SPCE centres. 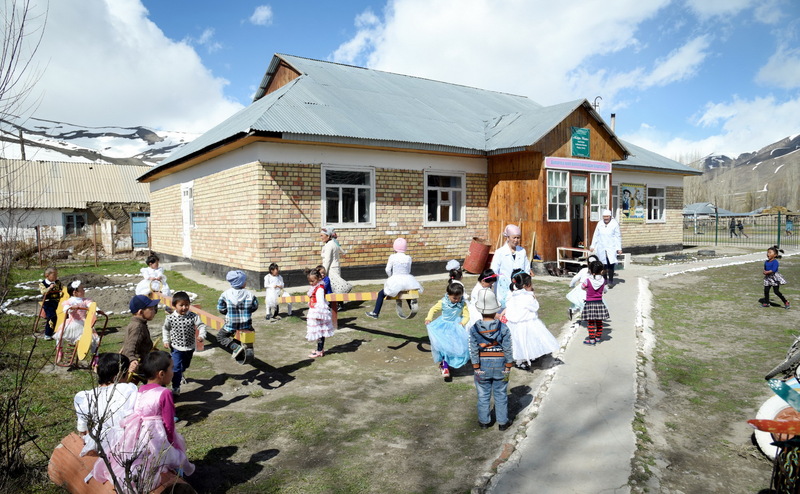 In the Kyrgyz Republic, the Aga Khan Foundation supports kindergartens in earthquake-prone areas to undergo seismic retrofitting, and educates school administrators about disaster risk resilience and disaster management. 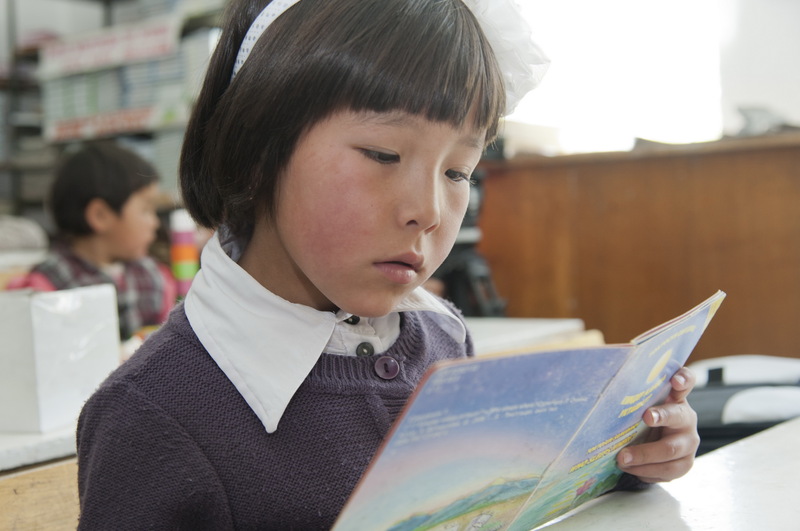 In the Kyrgyz Republic, AKF's Reading for Children programme helps young learners develop a lifelong love for reading. The Aga Khan School, Osh, Kyrgyz Republic. Over 80,000 students in Aga Khan schools speak 35+ languages and dialects. On the backdrop of the Pamir mountains, classrooms are bustling with young learners at the recently launched Aga Khan Early Childhood Development centres in Khorog, Tajikistan, inaugurated in January 2018. 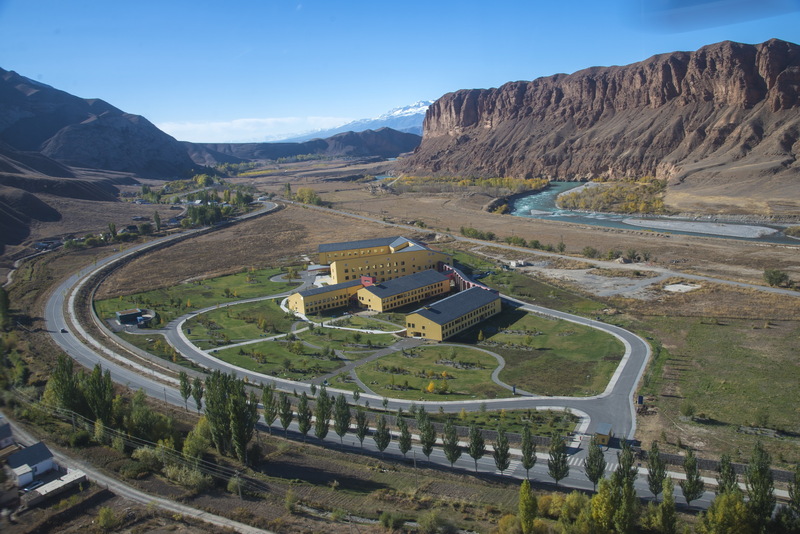 Established in 1998, the Aga Khan Lycée (AKL) in Khorog is the first privately operated school in the Gorno-Badakhshan Autonomous Oblast (GBAO). It is part of the Aga Khan Education Services (AKES) in Tajikistan. Each year, the Lycée educates over 1,000 students from grades 0 to 11 with a graduation rate above 95 percent. 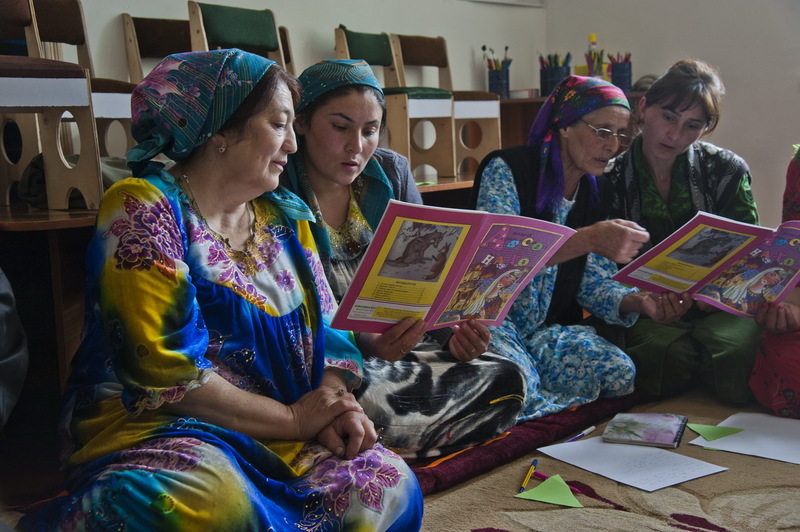 The Reading for Children programme in Tajikistan (Workshop for Parents/Caregivers) - The AKDN ECD model has been adopted nationally in Tajikistan. In the mountainous regions of Tajikistan, schoolchildren learn about earthquake safety, as part of an AKDN initiative to improve the communities' resilience to natural disasters. A vitally important part in achieving the mission and objectives of UCA is the School of Profes-sional and Continuing Education (SPCE). Founded in 2006, SPCE has 11 locations, including four in Northern Afghanistan, and has graduated over 120,000 learners, of which 50% in Central Asia and 40% percent in Afghanistan are women (compared to a national average of 23%). 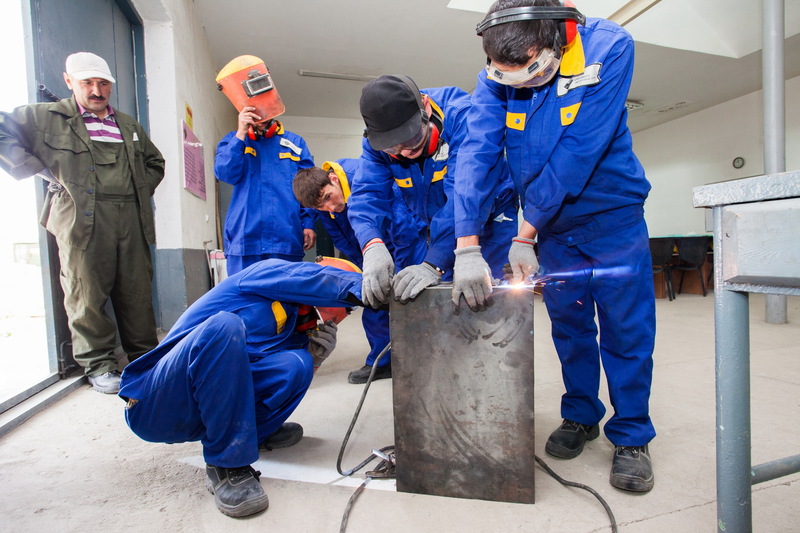 Photo: A welding class, Khorog, Tajikistan. 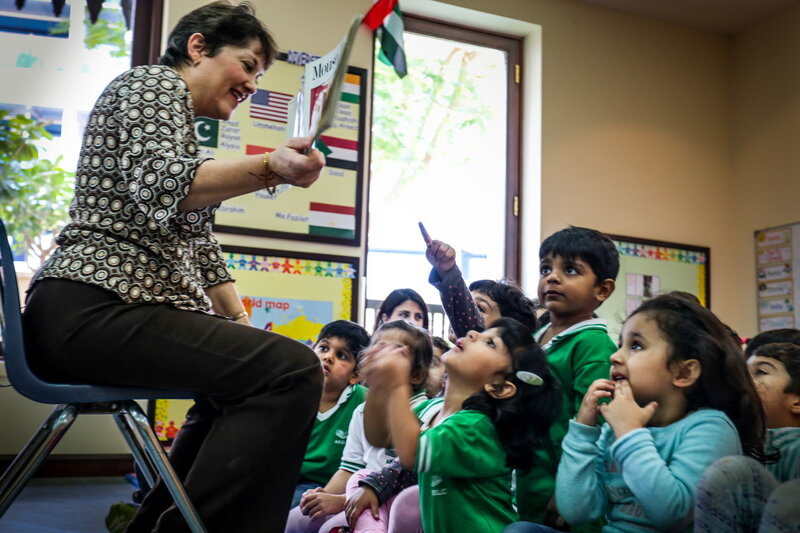 In 2018, Aga Khan Early Learning Centre in Dubai, United Arab Emirates received the prestigious International Nursery Of The Year Award from National Day Nurseries Association in the United Kingdom. 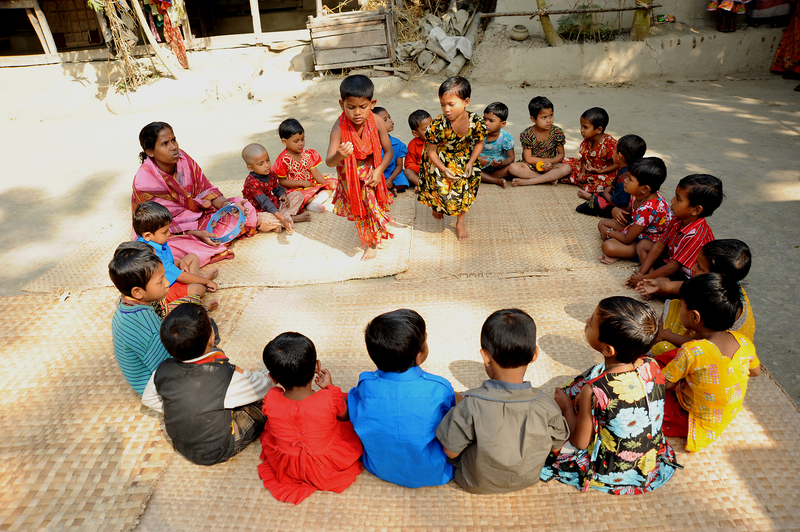 Working with local partners, the Aga Khan Foundation (AKF) in Bangladesh has directly reached over 33,000 children and parents and nearly 700 educators through ECD centres, and parenting and professional development programmes. 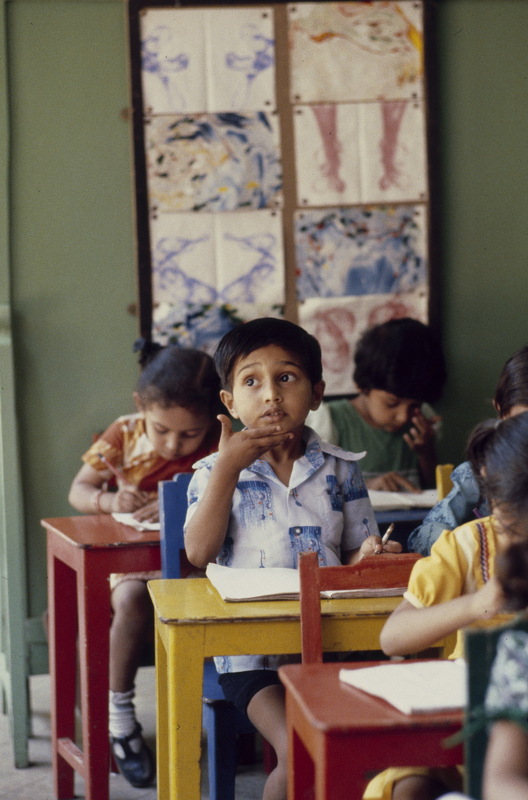 Diamond Jubilee School, Aga Khan Education Services (AKES), Mumbai, India, 1981. The Diamond Jubilee High School (ICSE), Mumbai, was founded in 1947 by Sir Sultan Mahomed Shah, Aga Khan III, when India gained independence from the British. 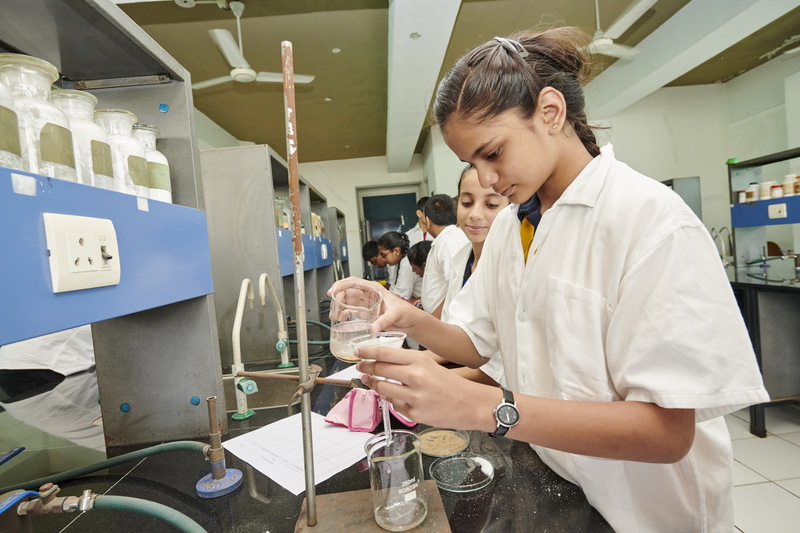 A senior student performs a chemistry lab experiment at Diamond Jubilee High School, Mumbai. The School offers classes from nursery to high-school level and now serves over 1,400 students. 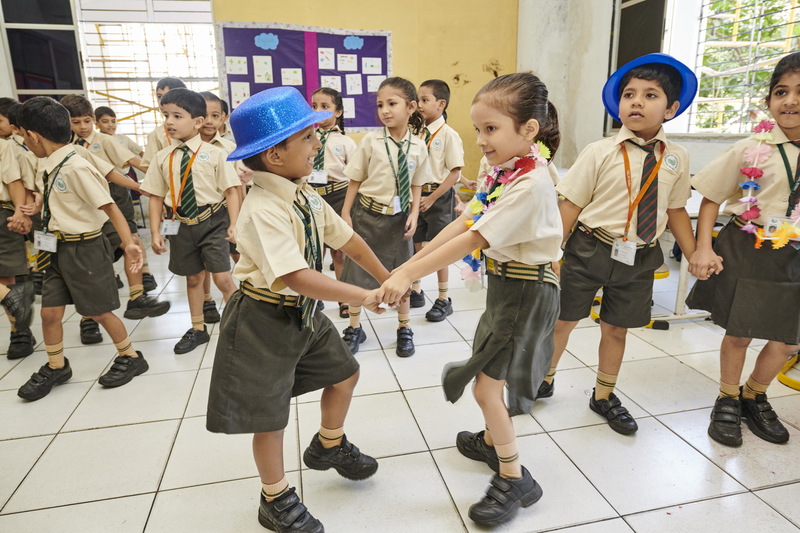 ECD students play a morning activity in pairs at Diamond Jubilee High School, Mumbai. Building on a century of leadership in educational development, Aga Khan Education Service, India now manages eight schools, one residential hostel, seventeen Early Childhood Development (ECD) centres and two Aga Khan Pre-Schools, in the states of Gujarat, Maharashtra and Telangana. The Aga Khan Academy Hyderabad was established in 2011 as the second in a planned network of 18 K-12 schools across 14 countries. 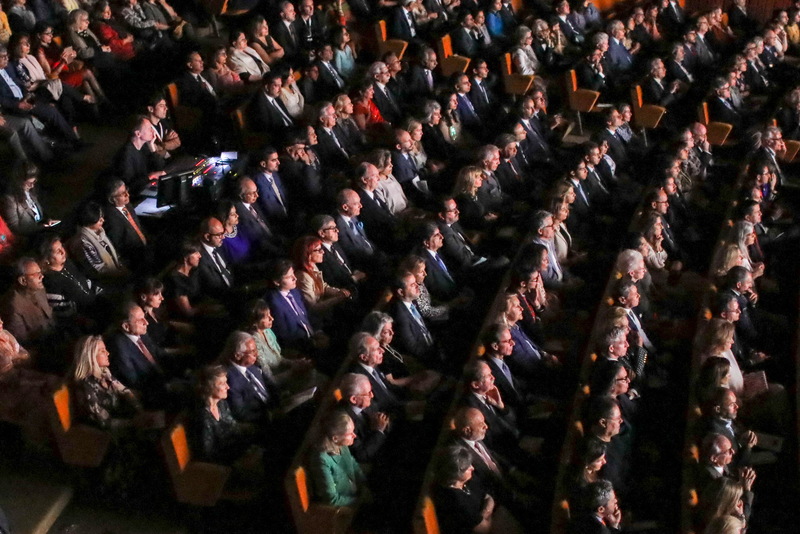 It was set up with the aim of educating talented students from all backgrounds to become home-grown leaders, who can transform societies of the future. Students are selected based on merit, regardless of socioeconomic background, race, religion or culture, and financial aid is provided to ensure access. The Academy provides education of the highest quality within the framework of the International Baccalaureate curriculum to girls and boys from grades K-12, preparing them for lives characterised by leadership and service. It is both an International Baccalaureate World School and a Microsoft Showcase School. 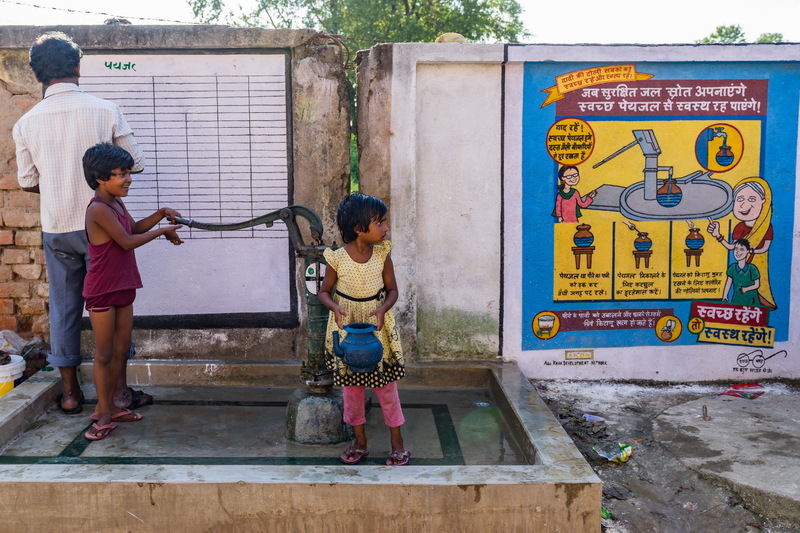 Converging with the AKDN Comprehensive Sanitation Initiative, repair of school sanitation facilities with a specific focus on facilitating access to improved sanitation for girl students and establishing drinking water and hand-washing platforms, and targeted hygiene education within schools, are underway. Urban Conservation and Development seminar in New Delhi, 17 August 2018. Through seminars and exhibitions, the Aga Khan Trust for Culture Education Programme aims to bring to students, as well as to a wider public, the wealth of knowledge accumulated by two of the Trust’s key programmes – the Aga Khan Award for Architecture and the Aga Khan Historic Cities Programme. The Trust’s ultimate aim is to promote broader and deeper understanding of the philosophy and values that underpin the efforts of the Trust. 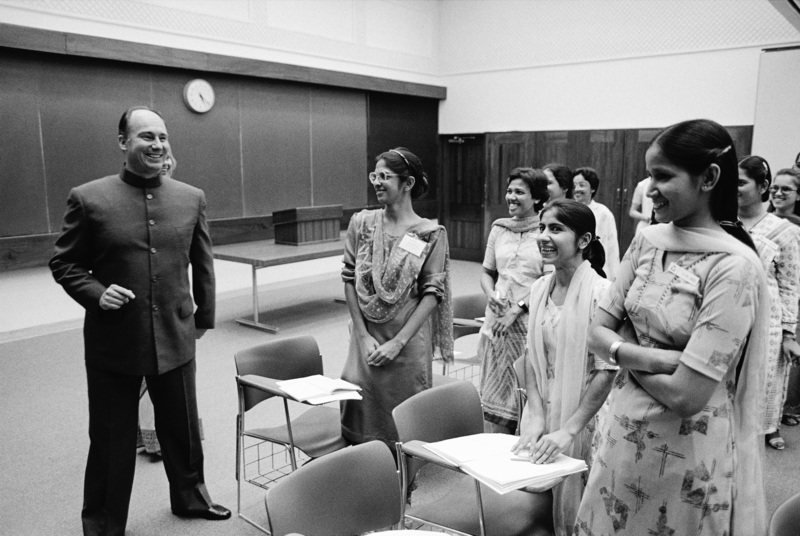 His Highness the Aga Khan talking with the Nursing Students during a visit at the Aga Khan University (AKU) in Karachi, Pakistan, 16 March 1983. AKU’s School of Nursing and Midwifery has been a national leader for more than 30 years and has played a key role in improving the reputation and practice of the nursing profession. 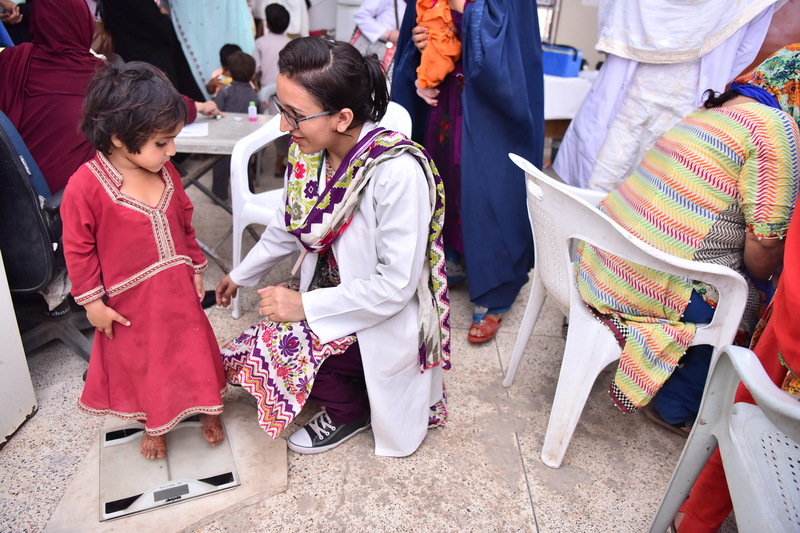 Post-RM Bachelor of Science in Midwifery students performing basic health assessments of children at Rehri Goth, a fishermen's village on the outskirts of Karachi. Community service is part of the curriculum of all the undergraduate and graduate programmes offered at AKU's School of Nursing & Midwifery in Pakistan. In Karachi, Pakistan, faculty at the AKU Medical College, Department of Surgery. The Aga Khan University Institute for Educational Development develops teachers, educators, education managers, researchers and policy makers as exemplary leaders to improve the quality of education; generates knowledge to transform educational practices and policies; and implements innovative and contextually relevant school improvement models in the under-served and hard-to-access areas. The Institute is celebrating its 25 Years. In Pakistan, the Leif Larsen Music School is located on the premises of the Altit Fort Royal Garden in Hunza. 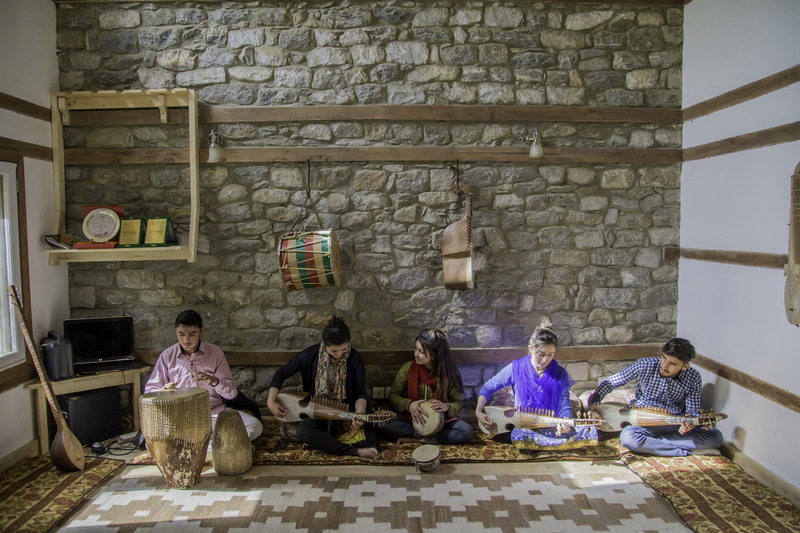 Every year, in partnership with the Aga Khan Music Initiative, 8-10 students are trained to perform local musical instruments to help preserve the rich cultural heritage of the area. The Music Initiative supports a network of curriculum development centres and music schools in Central Asia whose visionary programmes and projects aim to ensure the transmission and ongoing evolution of local musical heritage. The Aga Khan School, Brep - AKES,P schools cater to the educational needs of over 40,000 students from Early Child Development (ECD) classes to the higher secondary levels. With over 2,500 employees, of whom over 1,600 are teachers, AKES,P also gets support from over 2,000 volunteers. Aga Khan Higher Secondary School, Ghakuch, Ghizer. AKES supports local employment. Only 1% of AKES staﬀ are expatriates. Aga Khan Learning Resource Centre, Barkolti Yasin Valley, Ghizer - In Gilgit-Baltistan and Chitral, the first AKES,P schools were set up in the 1940s; since then they have contributed significantly to the increasing rates of literacy and socio-economic development in these mountainous and ecologically fragile regions of Northern Pakistan. 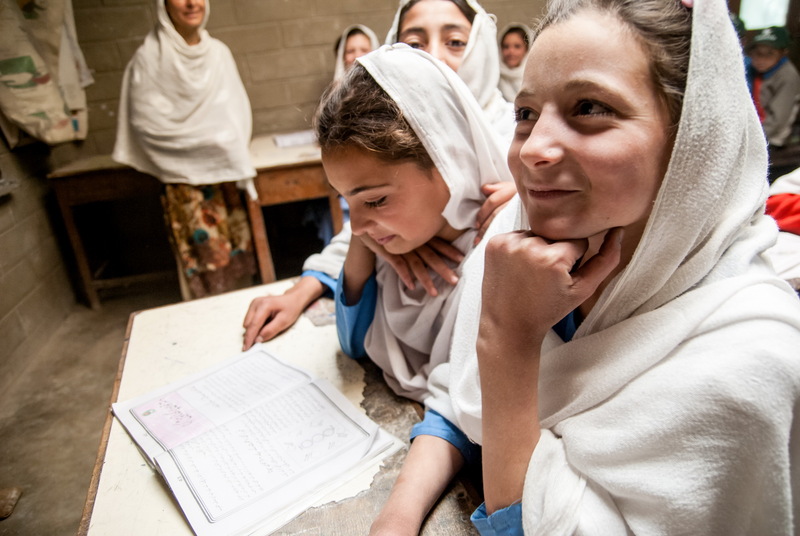 It currently operates 152 schools in Gilgit-Baltistan and Chitral, providing quality education to over 27,000 students, of which 54% are girls. Government Middle School Ganish, Hunza - Low cost, no cost teaching aids. An AKF-supported School Improvement Programme (SIP) school. 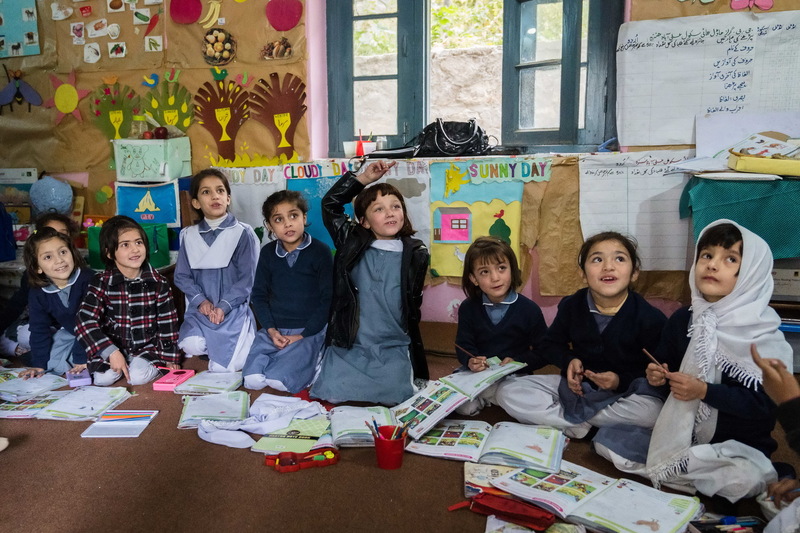 In Pakistan, the Aga Khan Foundation (AKF)’s activities in early childhood development provide more than 35,000 students annually aged 0-8 years (59 percent girls) with quality learning opportunities, in both urban and rural settings. Government Model High School, Ali Abad, Hunza - The School Management Committee have become very active in this school and have mobilised parents to contribute 50 rupees each a month to subsidise school costs and less well-off students. The school is now at a similar standard to local private schools. An AKF-supported School Improvement Programme (SIP) school. 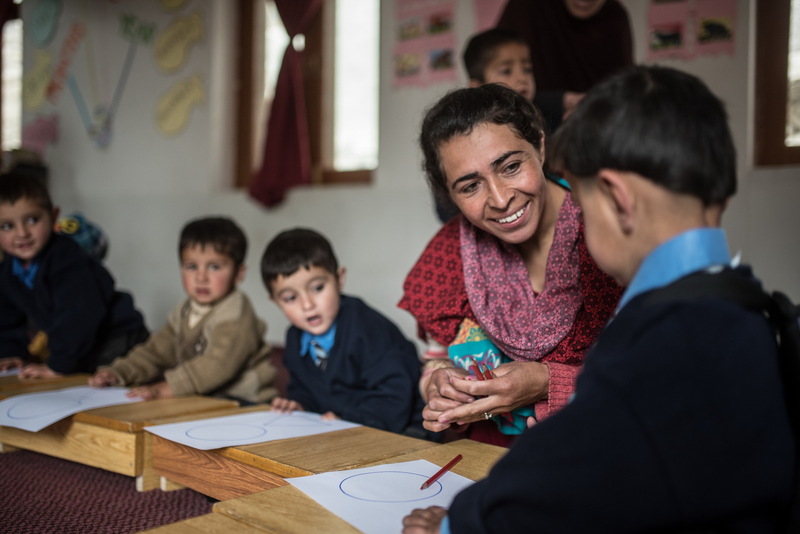 In Northern Pakistan, the Reading for Children programme is a key component of the education at AKF-supported School Improvement Programme (SIP) schools like this one in Shetmerg, Chipurson. The Aga Khan Development Network has been active in the field of education in Asia for over a century. The first Aga Khan Schools were established in Mundra, Gujarat and Gwadar, Balochistan in 1905. Since then, thousands of students have been educated at Aga Khan Schools across South and Central Asia. To ensure young learners a good start, the Aga Khan Foundation has helped create environments that support the overall development of pre-school age children. 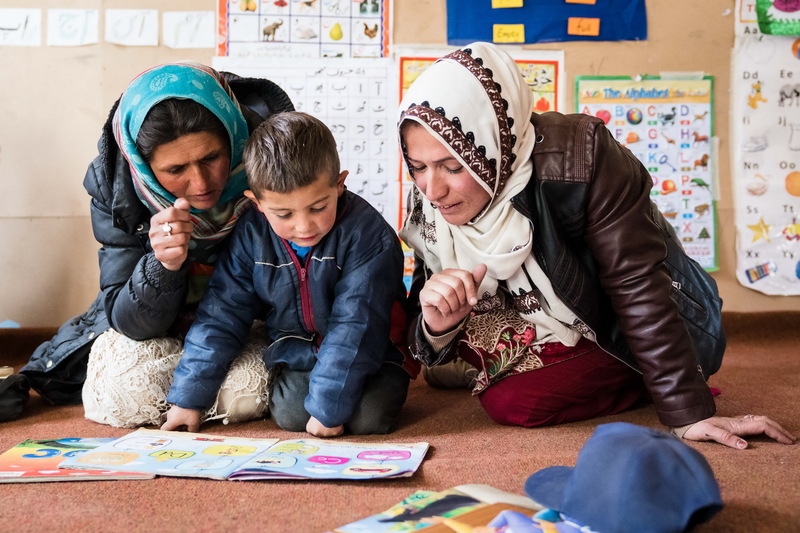 As a result, its model for Early Childhood Development has been recognised and adopted nationally in Afghanistan, Tajikistan and the Kyrgyz Republic. The Foundation also works in partnership with government school faculties, parents and communities to raise the quality of classroom learning. Each year, hundreds of thousands of school-age children continue into higher grades, with lower dropout rates and greater learning gains. Thousands of teachers complete in-service trainings that improve their skills and raise their confidence. 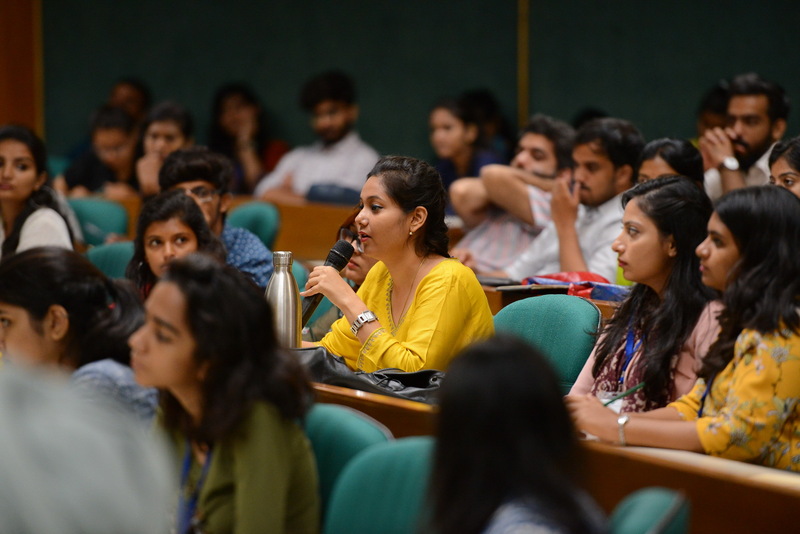 Since 2011, at the Aga Khan Academy in Hyderabad, India, talented students actively recruited from underrepresented, marginalised communities have been studying the rigorous International Baccalaureate (IB) curriculum to become future leaders. Chartered as Pakistan’s first private international university in 1983, the Aga Khan University (AKU) in Karachi is today recognised as the region’s leading medical research university. 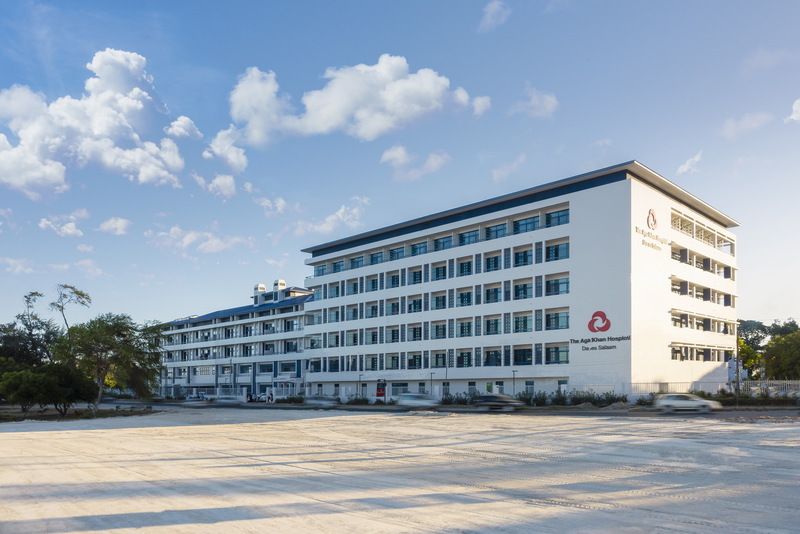 AKU’s School of Nursing and Midwifery has been a national leader for more than 30 years and has played a key role in improving the reputation and practice of the nursing profession. Graduates of the AKU Institute for Educational Development – over half of whom are women – hold important positions in public and private education systems, enabling them to advocate for and implement new policies and reforms that affect large numbers of students. Located on three residential campuses in Khorog (Tajikistan), Naryn (Kyrgyz Republic) and Tekeli (Kazakhstan), the University of Central Asia offers undergraduate and graduate degree programmes, as well as vocational and professional development courses for youth and adults.